IELTS General Writing Task 1 Model Answer: Letter to ask friends for accommodation. Home IELTS General Writing Task 1 Model Answer: Letter to ask friends for accommodation. I am writing to inform both of you that I will be relocating soon to Vancouver for work. We have known each other for a couple of years from our time together in Dubai. I will need guidance in search of an accommodation. It will be helpful to know of any local websites dedicated to the Vancouver real estate listings. Also, do let me know if you are aware of a vacancy or if any acquaintance of yours is looking to sublease a place. I prefer to live in the downtown area. My employer’s office is located within three blocks from the Union Metro Station. It will be great if the place could either be within walking distance or a short ride via tram to my new work location. I am interested in a cozy one bedroom apartment as the rental may be exorbitantly priced in the center of the city. Central cooling and heating system will be nice. 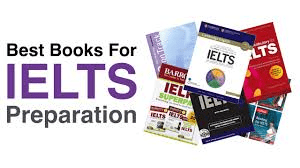 IELTS General Writing Task 1 Model Answer: Letter of withdrawal to the course lecturer.IELTS General Writing Task 1 Model Answer: Letter of suggestion to the restaurant manager. What type of letter is this? Formal or informal?